The cemetery was built in 1863 in Old San Juan and is located outside the walls of Fort San Felipe del Morro fortress. 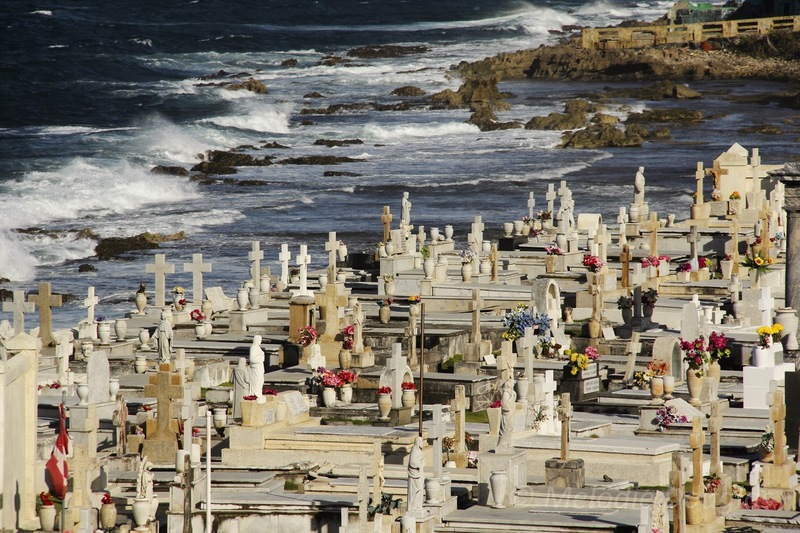 They built the cemetery to overlook the Atlantic Ocean to symbolize the spirit's journey to cross over to the afterlife. I was completely taken with Old San Juan, I will return one day to explore it's many charms, to wander at will up and down the narrow cobbled streets, to poke around in the small tiny curio shops and artists studios. To take the time to sit in one of the many patios and absorb the music from the musicians playing in the streets. One day was simply not enough time to do all that I wanted to do.